SAMS Driving School has been serving the Durham region community for the past 15 years. We are also the only Driving School in the city of Port Hope for the past 5 years. 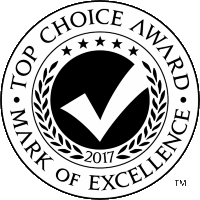 We are also the only driving school to have worn the Top Choice award in the Durham region for 2016, 2017, and 2018. Every parent knows the importance of having a responsible child behind the wheels of a vehicle. Nobody but us, at SAMs can relate to this kind of anxiety that every parents go through. Teaching a child to drive by parents, older sibling or a overly bearing relative can be nerving. Seniors, admire our simple and non complicated way of teaching. We at SAMs take care of that with professional and patient instructors both in-class and in-car. Our pricing is not the lowest in the industry, but we take pride in our quality of service in our teaching method. Our instructors teach with the highest standards and ethic in this industry. So go ahead and give us a no obligation call, if you have a query regarding our course, pricing or have a special request. We thank you for taking the time to read about school and our principals of operations.